How to turn your dental practice into a profitable business. “Turn your Dental Practice into a Successful Business” is a bestselling book that offers practical solutions that can be easily applied in every dental practice in order to increase its sales very quickly. The book (translated into Spanish, Russian and Hebrew) provides detailed answers to all the dental practice related marketing, management and sales questions or issues, which will allow you to increase the sales and profitability of your dental practice in a very short time. The author, Gabriel Asulin, is a world-renowned expert and became a global “guru” in the field of marketing and promotion of dental practices. Gabriel is a top presenter and popular lecturer worldwide. His seminar “How to Double your Clinic’s Sales in 3 Months!” was a major blockbuster in in China, Colombia, Mexico, Russia, Israel, Bulgaria and Dominican Republic in recent years. 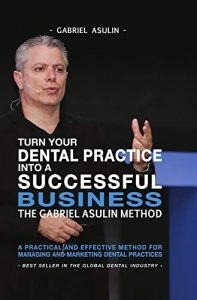 The strategies and methods suggested by Gabriel in his book are based on many years of experience in business consulting and training hundreds of dental practices around the world. The unique management and marketing methods presented in this book are successfully used by many dental practices and have proven to significantly improve sales and profitability. I was asked to review this book by the publisher, Turn Your Dental Practice Into a Successful Business, but I was a little worried at first that the contents of the book would not interest me at all: a dental practice? I’m not a dentist, far from it, so what purpose would the book serve me? The author, Gabriel Asulin, is an expert in the field of marketing and promoting dental practices. The book gives a lot of information regarding how to attract clients, retain existing clients, improve productivity, where to advertise your practice, and so on. I’m sure that for dentists, this book is a goldmine of information. 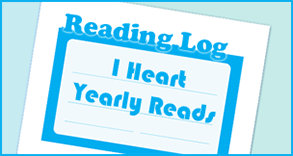 For me, I found some of the information useful since it was a more general approach, that could be used in all kinds of businesses, and not just dental practices, but the more specific information was not that useful to me.